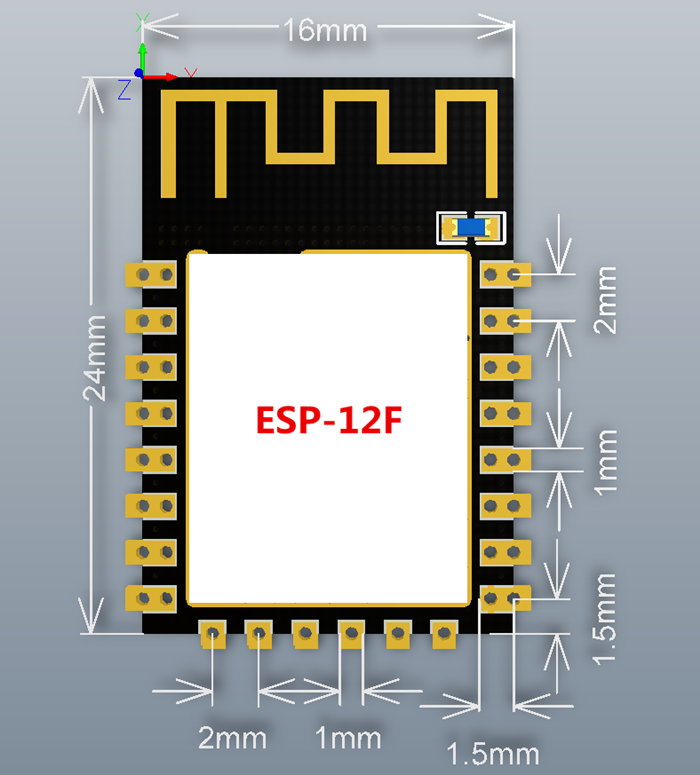 ESP8266-12F is an enhanced version of ESP8266-12, perfect peripheral circuit, four-layer board technology, enhanced impedance matching, better signal output, whether it is stability or anti-interference ability, PCB antenna has been tested by professional laboratory, perfect match, After ROHS certification, it has been greatly improved. 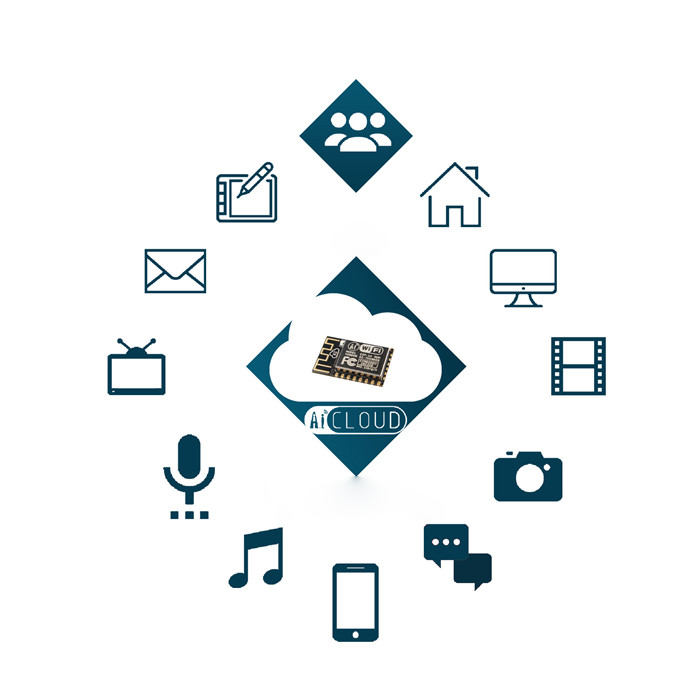 The enhanced version is fully compatible with the previous firmware. 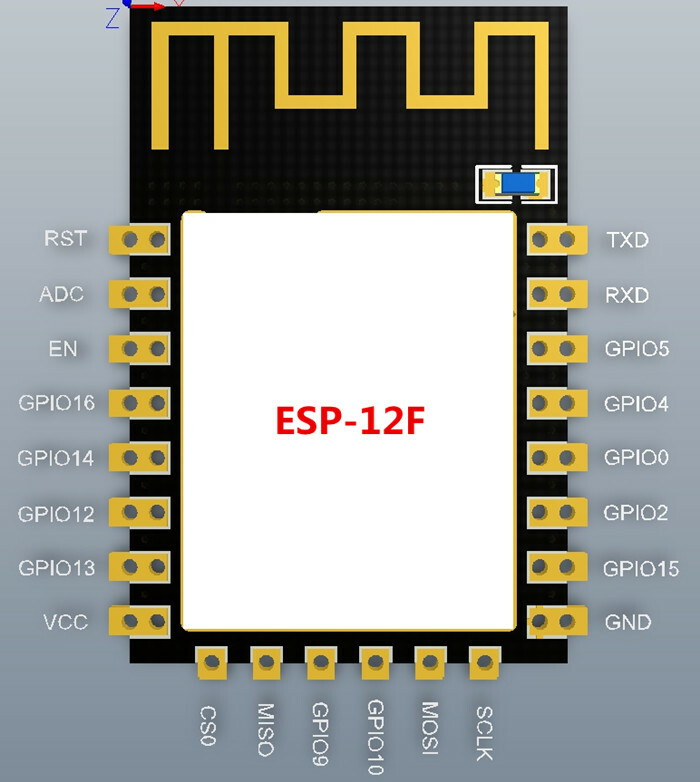 The pin is added with six IO ports and SPI port on the basis of ESP-12. The development is more convenient and application.